Maxence Bradley has always been primarily passionate about films, but that is just one of his many skills and ambitions. The producer, director and independent consultant, graduated from the University of Quebec in Montreal with a degree in communication and cinema. He joined the great family of Ciné Institute in January 2014 as a professor of production. 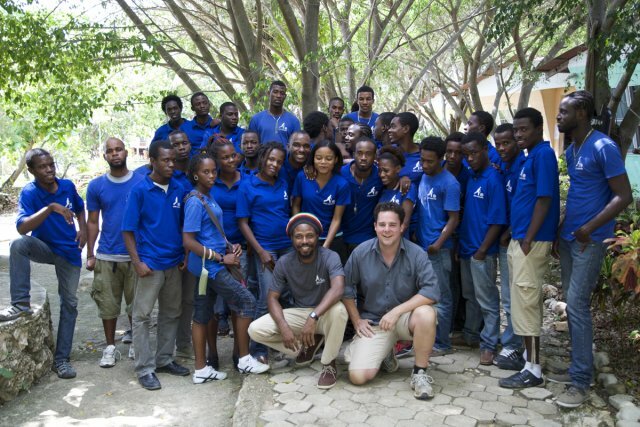 Last September, Maxence became the Director of Ciné Institute with the same basic objective in mind: to enable and teach young Haitians the art of creating films; the best films. Maxence Bradley is internationally and notably known for his participation in the film production and distribution of “Next Floor” by Denis Villeneuve, the winner of Best Short Film of the Critics’ Week-Cannes Film Festival 2008 and the film “Triptych” by Pedro Pires and Robert Lepage, for which he served as the executive producer. As a director, he created several short films including the award-winning mockumentary “Nostradamos”, “The Library” , and the comedy “El Presidente”. He also worked for several years with the international promotion and distribution company “Prends ça court” in addition to acting as an independent consultant, lecturer, and professor at various institutions around the world.